Teri Miller, with the Alzheimer’s Association Houston & Southeast Texas Chapter, has witnessed the power of how art invites conversation. As the Early Stage Program Manager, Teri collaborates with a variety of Houston’s arts and civic organizations. Sam is an example of someone who was surprised to enjoy the art gallery. But the next week, Sam signed up for the tour. “What made you change your mind?” Teri asked. Teri expected Sam to sit back silently, arms folded over his chest, as the docent asked, “What does this painting make you think of? Has anyone ever been in a similar setting?” But to Teri’s surprise, Sam had opinions on each of the three pieces they discussed. He and his wife talked about the experience all the way home. Discussing the paintings opened up chances to reminisce and connect. Plus the experience gave them something interesting to share with their grown children and visiting neighbors. Like many art partnerships around the country, Teri was inspired by MOMA’s Meet Me art program for people living with dementia. The Houston museum benefitted from MOMA coming to train their docents. The program offers comprehensive guidelines for visiting a museum or viewing art at home. Many art galleries and museums offer special tours and events for people living with dementia. If you’re lucky enough to have such a tour available, take advantage of it. Think of a museum your partner likes. If feasible, buy postcards of some of their art or visit their on-line gallery together and ask your partner which pieces he prefers. That way, you can tailor the visit to his taste. Choose one or two rooms that feature his preferred art. Make sure one room has a place to sit. Use the paintings and sculptures as a catalyst for conversation. Ask open-ended questions, discussing the colors, people, and objects you both notice. If the museum has a restaurant or tearoom, treat yourselves to something delicious. Enjoy the sense of connection that comes from discussing art; there are no right or wrong answers, just interesting observations. Select art books from the library or use your own personal collection. Choose works that portray emotion, tell a story or align with your partner’s background or interests. Ask open-ended questions that invite conversation, such as, “What does this make you think of?” and “What do you notice in this picture?” Have fun imagining what the people in the painting are thinking. Imagine their professions and whether they’re happy. This is an excerpt from Connecting in the Land of Dementia: Creative Activities to Explore Together. 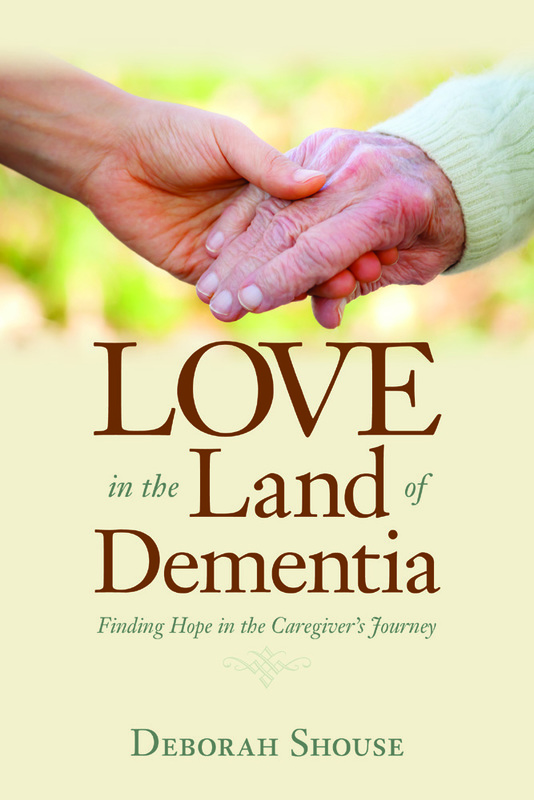 Deborah also wrote Love in the Land of Dementia: Finding Hope in the Caregiver’s Journey.